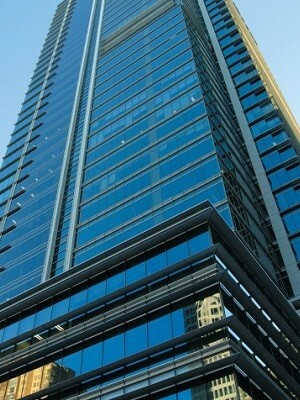 Located on George Street in Sydney, the new office was designed by Incorp Interior Designs. The office fitout required blinds for the windows that could help reduce the effects of glare and heat in the interior environment while allowing a partial view out. Facade contractor Flexitrack Furnishings installed 300 Mode roller blinds featuring 205 Silverscreen semi transparent fabric. Additionally, the roller blind hardware allowed for effortless and smooth operation. Verosol’s high performance metal backed Silverscreen semi-transparent fabric and spring assisted Mode roller blinds with stainless steel chain control met all the design and functionality objectives.